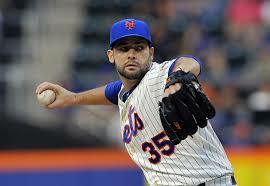 The Mets made it official yesterday and announced Dillon Gee as their opening day starter. There had been grumblings about this for about a week or so now, so this news comes as a shock to no one. Opening Day is all about a fresh start for a team and their fan base, a new beginning with endless possibilities. No matter how bad your team was last season, everyone comes into Opening Day with a glimmer of hope. For the Mets, our hope relies on our young starting pitching. Obviously this start we have been given to Harvey if healthy, but he’s not. Syndergaard became the story of spring training, but he won’t be seeing Citi Field until the summer. Dillon Gee, while reliable and effective, does not represent one of these talents, Zack Wheeler dos. Wheeler, the prized return in the Carlos Beltran trade, has been looked upon as a building block since his arrival. Wheeler showed signs of his potential dominance and had us thinking he could be a major factor in leading this team back to the playoffs. This is the man who brings that promise and excitement with him each time he takes the mound, Wheeler needed to be given this start. I’m not trying to knock on Dillon Gee, I’m actually a big fan of his. I believe he is a great piece to go along with the young power arms of Harvey, Syndergaard and Wheeler in the future rotation. If he can slide in as the team’s future #4 or #5 starter, I couldn’t be happier with that situation. Gee reminds me of a young Rick Reed, he doesn’t throw overly hard, but he moves the ball around and changes speeds to keep batters off-balance. Gee always keeps the Mets in the ballgame, but his style doesn’t exactly rile up the fans. The Mets really missed the boat on this one, Wheeler’s presence alone would have been significant with one of our “big three” leading the way in 2014. In any case, this won’t matter in the long run of the season, but it would have added to the anticipation of what could come this year.